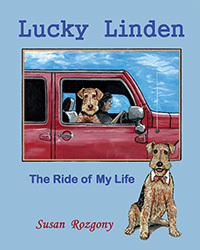 Susan Rozgony’s “Lucky Linden: The Ride of My Life.” As a little Airedale puppy, Linden wants nothing more than a loving home, one where she is loved by her owner and can demonstrate her love and loyalty in return. 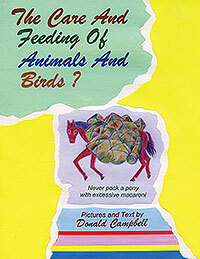 She is given away to a grumpy old man. 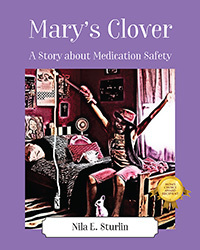 Linden runs away but finds an unexpected surprise. 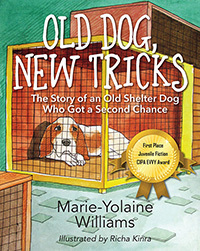 Marie-Yolaine Williams’s “Old Dog, New Tricks.” Who Says Old Dogs Can’t Learn New Tricks? Boscoe is an 11-year-old dog who suddenly finds himself at a shelter competing with puppies for potential adopters. 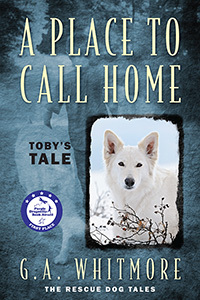 When a family finally comes in looking for an older dog, Boscoe can’t believe his ears! Will he find his forever home? 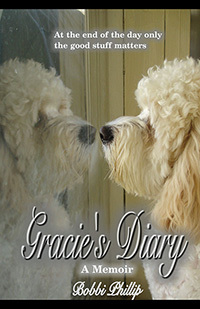 Bobbi Phillip’s “Gracie’s Diary.” The emotional and poignant true story of a middle aged couple that married after meeting online and the lovable, adorable designer puppy that became their ‘together child’, showing them that her role of filling their empty nest, though filled with trials, would be worth it in the end.